Rush and grab this opportunity to buy excellent kitchen and bathroom fixtures in Sydney. 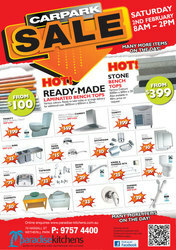 Fantastic savings on toilets, vanities and bench tops sinks. 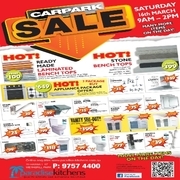 •	Car Park Sale on Saturday, 16th March - Time 9 AM to 2 PM •	Vanity Sell-out - All one low price $199 •	600mm or 900mm Canopy Range Hood with 2 year warranty $149 •	Shower Head $39 •	Select from the finest kitchen and bathroom fittings •	By dealing directly with the manufacturer, you save greatly •	Give a fresh and neat look to your existing kitchen and bathroom To get further details, call us at 02-9757-4400 or email sales@paradise-kitchens. We are clearing out our stock. Grab this opportunity and take home bathroom accessories, tap ware, pedestal basins, lights kitchen accessories and much more. Great Savings! •	Car Park Sale on 16th March [9AM to 2PM] •	Ready Made Laminated Bench Tops (3600mm x 600mm x 33mm) - starts from $100 •	Stone Bench Tops (3000m x 600m x 20m. Taps and More, Australia’s leading online store supplies quality Rossto Imola Bathroom Vanity Basin Set [3 Piece Wels Tap ware] at an affordable price. • Choose our generic Rossto brand mixers as it offers the latest style and ease of use along with superb accessories and tap ware at cost effective prices as compared to other high end brands. If you are looking for newest designed Frameless Showerscreen for your bathroom in Sydney then Paradise Kitchens are the best choice for you. Paradise Kitchens is an online store for kitchen and bathroom accessories in Sydney. We provide a vast range of the most eye-catching and stylish bathroom shower screens at cost-effective rates. 1.5KW-6 panels- $2200 2kw-8 panels- $2500 3kw-12 panels- $3160 4kw-16 panels -$4200 5kw-20 panels-$4890 Panels are 250w TopSola monocrystaline panels Inverter is growatt inverter -CALL HAKAN ON 0416 661 743. 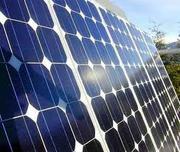 IT S TIME TO GET YOUR SOLAR TODAY , DONT PAY ELECTRICITY BILLS ANYMORE, WE HAVE THE BEST PANELS THAT ARE GERMAN PANELS AND WE HAVE THE CHEAPEST MONTHLY PAYMENT PLAN IN AUSTRALIA SO DONT MISS OUT, PRICES ARE FOR 1.5KW 6 PANELS MONTHLY PAYMENT IS $119, FOR 2KW 8 PANELS IT IS $146, FOR 3KW 12 PANELS IT IS $215, FOR 4KW 16 PANELS IT IS $221, FOR 5KW 20 PANELS IT IS $274, THESE EASY PAYS ARE TILL 24 MONTHS AND YOU WILL BE SAVING, IF YOU ALSO WANT TO SAVE CALL HAKAN ON 0416 661 743-EMAIL-solarforyou@hotmail. Taps and More supplies high quality Caroma Liano bathroom hob bath/ spa tapware set chrome and bathroom accessories at affordable prices in Australia. Liano Hob Spa Bath Set : • The essence of minimalist tapware design. Liano combines timeless lines with simple right angles. Square inspired outlets with Platemount options promise a sleek, distinctive finish to quality bathrooms and kitchens. CEBO Australia offers fully automated coffee machine throughout Australia with free express delivery. Buy today CEBO Coffee Machine to enjoy soft and frothy cappuccino at the touch of a button.. The Cebo espresso coffee machine give you a cup of coffee without any effort. You can also pickup your order personally, we have our warehouse in Moorebank, Sydney. Visit: http://www.cebocoffeemachine.com.au/. Looking for high quality bathroom shower set? You are at the right place! 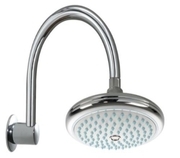 Beautify your bathroom with stunning bathroom shower set and tap ware fixtures. Rossto presents Imola 3 piece shower set for bathroom fittings. For peace of mind this product is a fully Australian certified quality product approved by strict Australian standards. Are you looking to buy pool heat pumps in Sydney? You are at the right place! Thermo Pools is Australia’s renowned company that manufactures and installs pool heaters with options of solar heating, electric heating and gas heating. •	Our heat pumps are highly efficient and long-lasting due to the titanium heat exchanger. Taps and More is Australia’s leading online store supplying high quality Dorf Belmore and Wall Robe Hook Bathroom Accessories at reasonable prices. Belmore II accessories offer brilliant worth for money. Designed to suit the Belmore tapware and mixer ranges, they will look equally at home with other decorative tap ware styles. Are you looking for the latest bathroom shower screens for your bathroom? Paradise Kitchens has a huge range of the most attractive and fashionable bathroom shower screens. Get quality bathroom shower screens at cost effective prices. We provide trendy frameless angle shower screens. It’s ideal to get a feel of extravagance. Are looking for exceptional and the newest bath taps and accessories for your bathroom in Sydney? Paradise Kitchens has the answer for you. Paradise Kitchens is an online store where you will get quality kitchen and bathroom accessories in Sydney at affordable rates. •	Choose from a vast range of bath taps that come in different shapes, sizes and attractive designs. Taps and More, a Sydney based reputed online store supply the latest bathroom showers and accessories at affordable rates. •	Choose from a huge range of quality bathroom showers and accessories. •	We stock bathroom fixtures of top brands like Bastow, Caroma, Dorf, Flexispray, Methven, Novelli, Rossto and more. Our car park sale is open to the public for ONE DAY ONLY on Saturday 2nd Feb 2013. We are open from 8am – 2pm. Items are discounted Up to 85% off the retail price. We have everything from vanities, bench tops, shower screens, tap ware, bathroom accessories, bathroom products, toilets and much more. 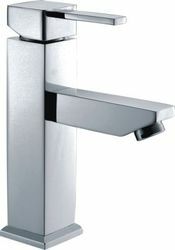 The Sydney-based company that designs and installs audio-visual systems to homes and businesses..
Taps and More offers new OS square bathroom basin mixer wels tap at discounted price. OS brand is well known for its quality and modern styling. Choose from an exciting range of mixtures, bathroom accessories and tap wares per your preference. This product is a fully Australian certified quality product approved by strict Australian standards. Can buy it online now: http://sockitz.com.au/classic-sockitz-with-dust-covers.html Details The Classic white is the first of our patent pending sockITz range which combines an Australian Standard (Approval Certificates here 1 & 2) dual 240v power socket with twin USB powered charging outlets for charging mobile devices under the new universal charging guidelines for mobile phones set to come in effect in 2012. The Mosarte is one of the best online store in Australia, for shopping of garden pots, planters and other garden accessories. We also provide consultancy services to both residential and commercial clients. We help you to create your outdoor living areas look more attractive and beautiful. For more information visit our website. The Mosarte is an online distributors of garden pots. We have huge selection of traditional, contemporary, European and Asian inspired garden pots. We provide you garden pots which is constructed from high quality material. We also offer free shipping in local areas. 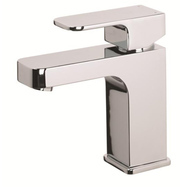 Taps and More offer Novelli Cara Fixed Basin Mixer Wels Tap Chrome (200hr Salt Spray Tested). 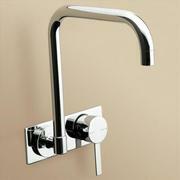 We supply the most amazing and desirable range of taps in Australia. We have a huge range of basin taps from Basin Mixer taps, both mono and standard to modern and contemporary or more traditional. We cater to every need and budget. Get minimalist wall mounted curved gooseneck sink mixer outlet by Methven at discount price of $124.17 only. 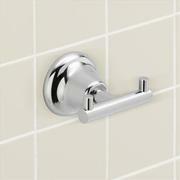 Taps and More is the kitchen and bathroom accessories provider based in Sydney. 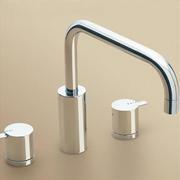 We have wide range of branded kitchen sink taps for sale at very affordable rates. Features: • 24mm swivel spout fitted with ASD aerator • Inlet - 1/2" BSP female push-fit connection • Suitable for use with Minimalist wall top assemblies (sold separately) To buy the new bath spout, please feel free to call us at 02 9757 4839 or visit our official website at http://www. 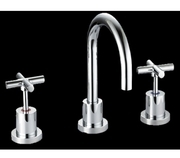 Taps and More is a Kitchen & Bathroom Taps & Accessories provider based in Sydney Australia. 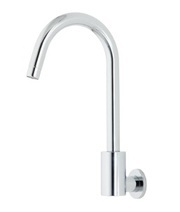 We have a wide range of branded kitchen sink taps for sale at very affordable rates. The premium Liano mixer is proudly Australian designed and the range is guaranteed to meet the latest interior design trends. Find the latest designs of garden pots at mosarte.com.au, We have vast selection of traditional, contemporary, European or Asian inspired products. We provide you beautiful garden pots at reasonable price. Once come and see the quality of our products..
Find one of the most experienced tree removal companies in the Melbourne city. We also do stump removal, hedge trimming and block clearing for developments and general garden maintenance. http://prolop.com.au. Since 1981, Dan Kitchens Australia have been designing, manufacturing and installing modern, Danish-style designer kitchens and joinery. Their philosophy is to provide customers with quality kitchens that are second to none, built the Danish way, incorporating well conceived design, fine craftsmanship, and modern manufacturing techniques. Bathroom Renovations Ideas Brisbane. Tamara creations Brisbane, provide bathroom renovation & kitchen renovations with low cost fantastic luxury look ideas. No matter what size or budget for Expensive or modest, domestic or commercial renovations.the cast-iron kitchen sink, the custom tap, much better home appliances, container illumination as well as granitic or even solid-surfacing counter tops might price as much as $16, 500. Made from sea shell material, size around 15 cm diameter, use for ashtray, Balinese working, production capacity is 5000 pcs/month, made to order..
Made from sea shell material, size around 20 cm length, use for slice food, Balinese working, production capacity is 5000 pcs/month, made to order..
Home, garden Sydney ads Sydney, Home, garden classifieds Sydney, Home, garden free ads Sydney, ads for sale Sydney, ads to buy Sydney, FREEADSAustralia Page number 11-2. Find here ads for sale, to buy and rent in Sydney. Goods for sale in Sydney, vehicles for sale in Sydney, Sydney real estate for sale, Sydney property for sale, property for rent in Sydney, business ads in Sydney, Sydney business classifieds, services in Sydney, Sydney services ads, jobs in Sydney, pets for sale in Sydney, Sydney dating, Sydney cars for sale.